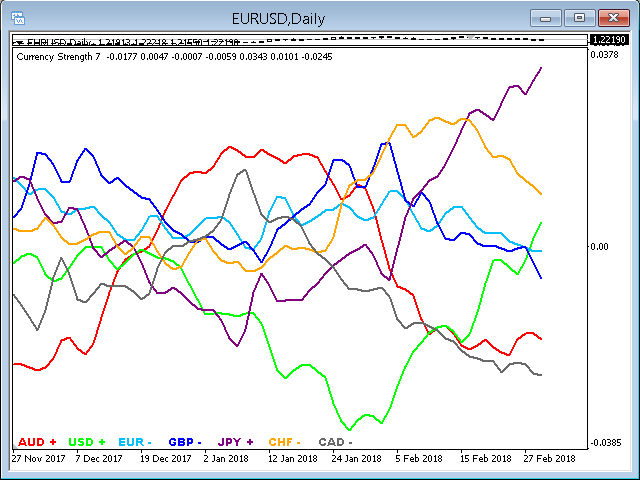 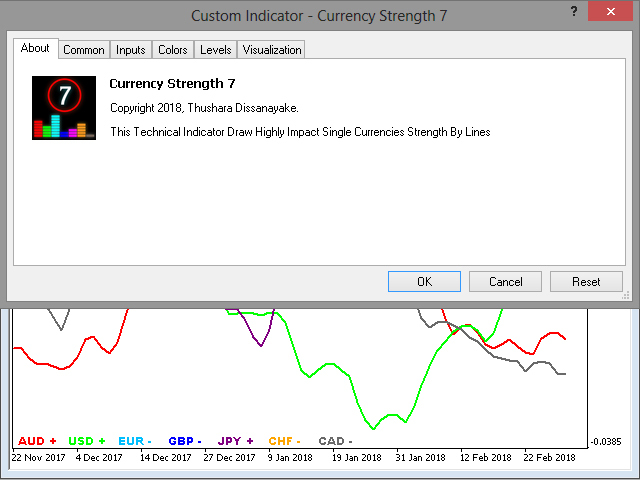 The Currency Strength 7 technical indicator is a great tool for identifying the strength of 7 most popular currencies. 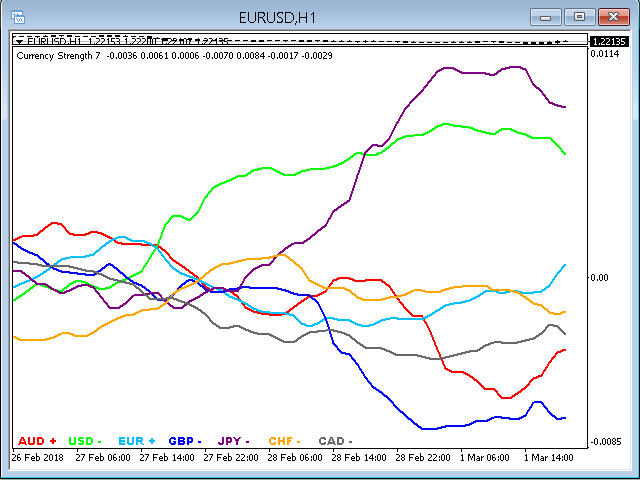 It analyzes AUD, USD, EUR, GBP, JPY, CHF, CAD and shows their strength on the chart by lines. 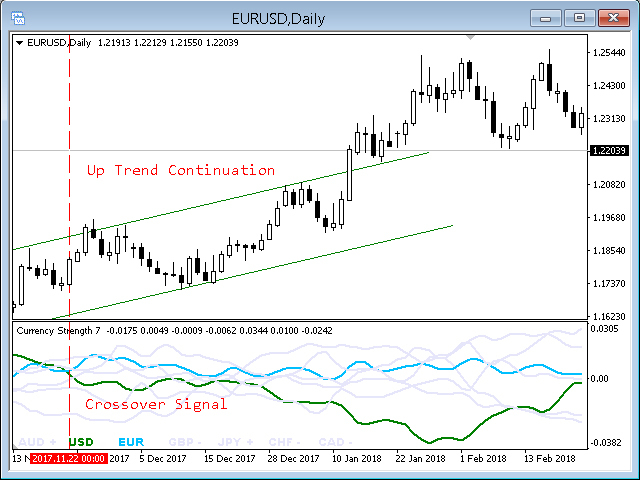 The most important thing is that it draws more historical data to analyze and get a better understanding about the market movements. 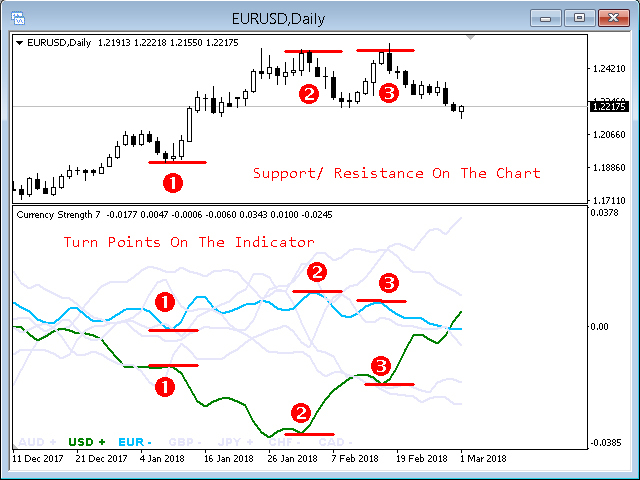 The indicator works via Moving Average data and indicates "+" sign for Strong position and "-" sign for Weak position. 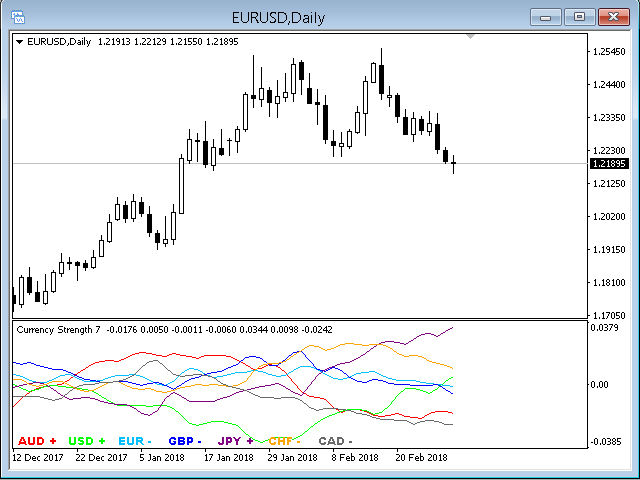 It works with any timeframe. 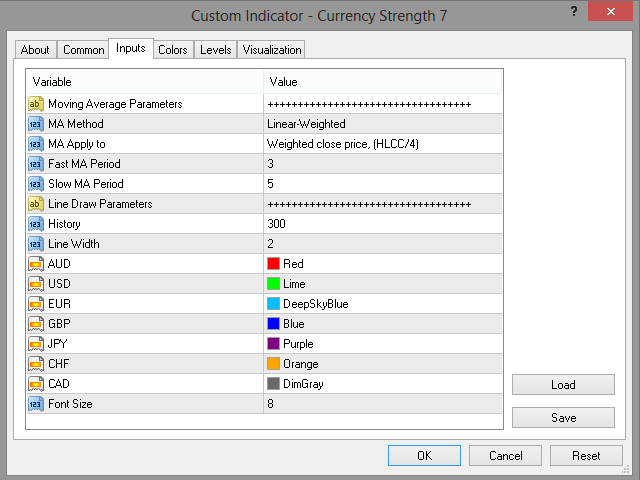 But it is highly recommended for higher timeframes.